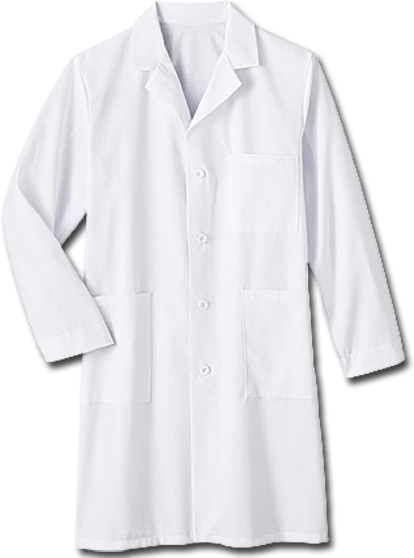 White Swan 6116 Meta Unisex lab coat is 40" long and features 4 pockets including 1 inside pocket, 4-button front, hand access slits, and two-piece back swing belt. 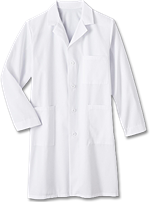 Made of 65% polyester / 35% cotton performance poplin with soil release. White.